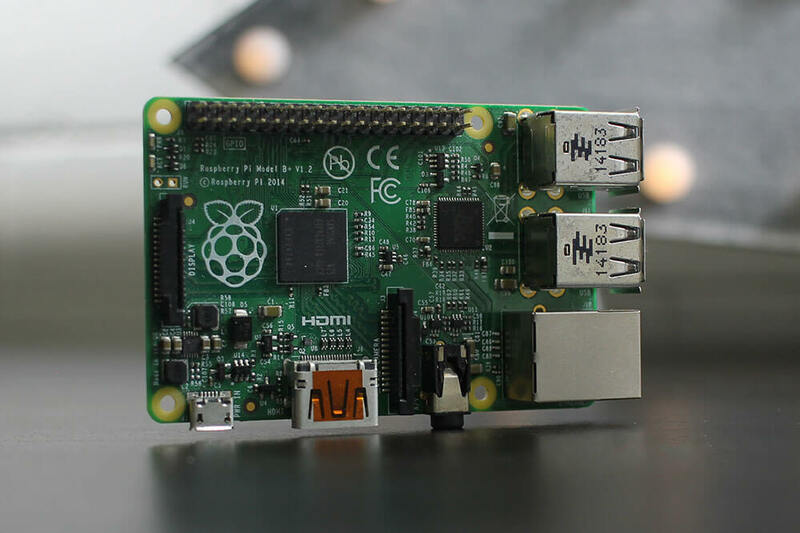 This guide will show you what you will need to get your Raspberry Pi fix in late 2016. I’ve been using the Raspberry Pi since it’s second release (the Raspberry Pi B+) and have tackled many projects. Now, with the Raspberry Pi 3 being the most recent king (apart from the zero), the projects achievable are blowing up! 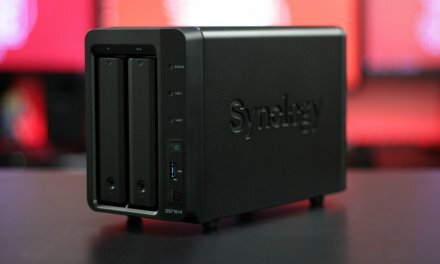 Imagine creating a security system, or even a standalone coding machine. 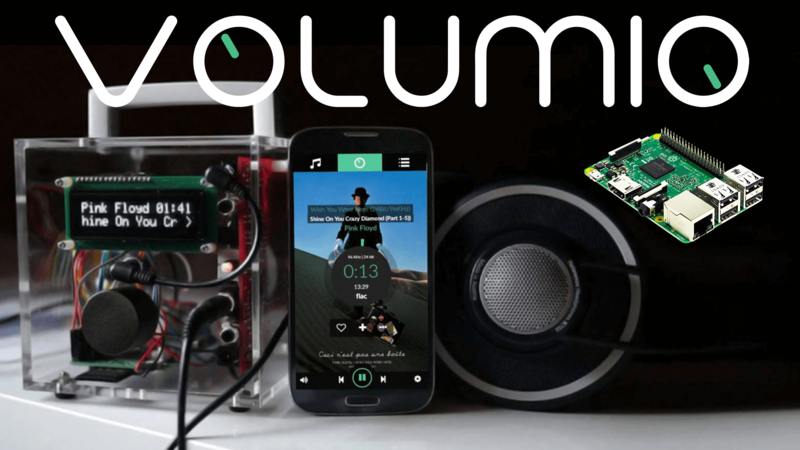 The possibilities are endless when it comes to Raspberry Pi projects available. Since it’s first release in 2012, the Raspberry Pi has had 5 different versions released. The Raspberry Pi A+, B+, 2, 3, and Zero. 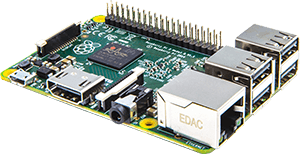 The Raspberry Pi 3 is the more recent version which brings WiFi and Bluetooth capabilities that none of the other versions offer. The extra connectivity of the Raspberry Pi 3 makes this the perfect candidate for this Ultimate Raspberry Pi Buyers Guide 2016. First we have the hardware. You will need power supply that is capable of 2.5 amps due to the draw the Raspberry Pi 3 needs, a micro SD memory card with a minimum of 8GB of storage space, a hdmi cable and an input device like a keyboard or gamepad. 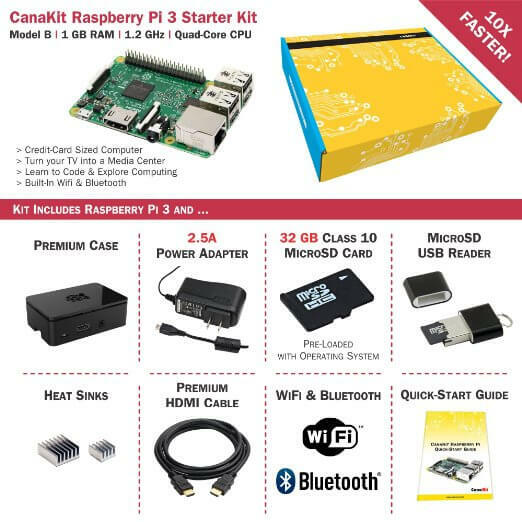 The CanaKit Raspberry Pi 3 Complete Starter Kit ticks all the boxes. It includes a 32GB Micro SD Memory Card, HDMI Cable, Micro SD Card Reader, mini heatsinks for extra cooling, a 2.5a power supply, a quick start guide, the Raspberry Pi 3 and a case. This is all you need to get started. When it comes to software, you have quiet a few options which I will list for your convenience. If you want to play with emulated games, RetroPie is the only choice. If a Media Center is your need, the OpenElec with Kodi is the best choice for speed. Fancy a mouse based operating system for coding? This piece of software will help you write your system images to a micro sd memory card. There is a tonne more options out there, but this is the cream of the crop delivered straight to you. You can check out the video below for a quick step by step guide to installing OpenElec. Let me know in the comments if you have other suggestions for this article. Also, if you like Raspberry Pi content, check out my YouTube Channel TechWizTime. We will be adding to this guide, so please let us know here in the comments what you would like to see.